Two classic hymns by Sri Shankara. 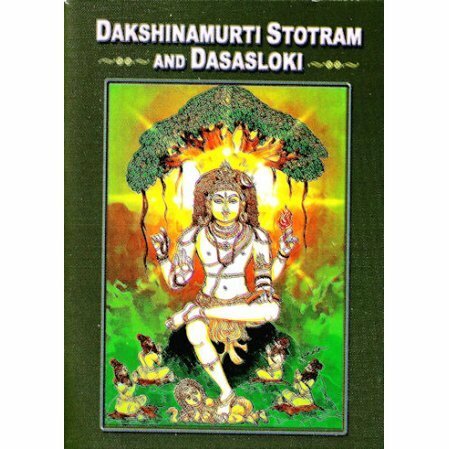 Shankaracharya’s Dakshinamurthi Stotram is a hymn to Shiva, explaining the metaphysics of the universe framed in the tradition of Advaita Vedanta. In a compilation of ten stanzas, there is a concise and vivid description of the philosophical significance of the form of Shiva, giving the very essence of the Indian idea of epistemology. The Dashashloki, or Ten verses on the Atman, is considered by many in traditional circles as the last pronouncement of Shankaracharya on the subject to his intimate disciples. 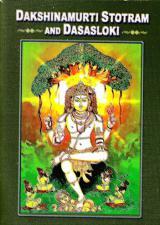 This booklet is a simple translation of Sri Dakshinamurtistotram and Dashashloki by Swami Gabhirananda. The translation in English will help readers appreciate these poetic masterpieces and also understand their philosophical import.